Begin the journey of building your retail profit with ease with ​Pricing for Profit: The Art and Science of Merchandising Math. 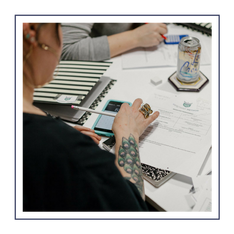 Pricing for Profit is a foundation accelerator program that teaches applied merchandising math to retailers, manufacturers, and makers. With an emphasis on optimizing sales and profitability, this hands-on and rigorous class uses case studies in combination with a learning lab approach to teach students how to think critically and independently about their own pricing and profit. Learn the merchandising principles for retailers and manufacturers. Study different approaches for optimizing sales and profitability. Discover new ways to influence profitability inside the Merchant Math learning lab. This program also comes with bonus materials to strengthen your learning and promote integration of these principles into your business. Click on a each link to explore what's inside the Pricing for Profit program. In week one we'll examine the relationship between pricing elements: cost of goods sold, selling price, and markup. Often disregarded as a simple relationship or overlooked as a no-brainer math formula, we'll dive the hidden costs of doing business — the origins of cash flow pain. In week two we'll continue our work to better understand pricing elements and resolve the disconnect between using the simple markup approach to determining selling price and establishing a margin approach that increases profit and contributes to a healthy cash flow. Discover new ways to influence your profit inside the Merchant Math learning lab. 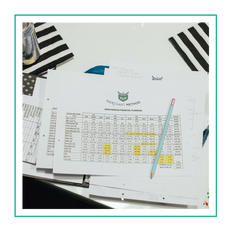 Use your new understanding of profitability to plan and re-plan your pricing strategy using spreadsheets designed to support your strategic business practices. As a student you receive tools to help you prepare for class. Embracing new information often requires a fresh perspective or a different point of view. This primer helps to clarify the difference between accounting and merchandising math. Because I emphasize practice and application over rote memorization, I created a formula cheat sheet as a valuable reference that you can turn to again and again. Learning new skills requires ongoing support. It's frustrating to feel confident while learning something and then find yourself confused when you apply the lessons on your own. That's why I scheduled office hours. I'm here for you! This 3-week program meets weekly on Monday mornings. Class will be held in Seattle, WA. Location to be finalized. Concurrent online learning is also available. Pricing for Profit is limited to 8 students and this program is a rare opportunity to work with me in a small-group format as we co-build your future profit. 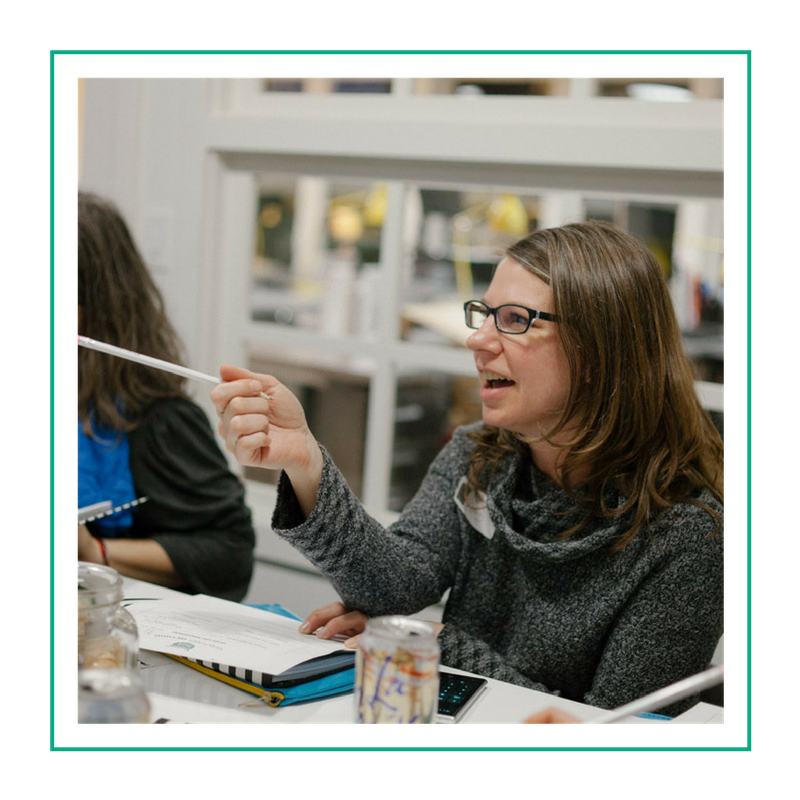 This class will be taught live in person and available via teleclass with direct access to teacher support in class, during office hours, and inside our Facebook group. This will be a handpicked group of merchants and it is my goal to create a cohort that helps accelerate and compound individual success. This program won’t be perfect for everyone and I want to set you up for success, so I might suggest different training for some applicants. ​No matter what, every applicant will receive my valuable new video tutorial: A Non-techie Guide to Spreadsheets. I want to serve all merchants through Merchant Math programs but I know that you might benefit from something different. Please read this before you apply to triple check that this program will be right for you. ​Retailing is not an exact science. Instead of chasing a guaranteed financial outcome that doesn’t exist you will learn the math formulas used by retailers and manufacturers of all sizes and stages of growth. Are you ready to invest in your skill set for the long term? Like every valuable business process, the quality of the outcome is directly related to the quality of the input. Reaping the benefits of retail financial planning is an iterative process that takes time. Are you prepared to take a hard look at your plans, and make a habit out of reviewing them? You have big goals for your business and your calendar is filled with competing priorities. 99.9% of business projects have one end goal — to drive profit. When you have a functional understanding of merchandising math, all of your projects can be prioritized and coordinated, and their benefits compounded. Can you take the time to drive your big picture down into the details of your business? YES, THIS PROGRAM IS FOR ME! When you learn the math that leads to retail profit, you’ll finally learn how to build retail profit with ease. Improve your cash flow by learning the factors that influence pricing and profit. Create a thoughtful, customer-friendly pricing strategy that communicates both high quality and high value. Drive additional profit through a careful examination of costs of goods sold and perceived customer value. Develop business acumen and spreadsheet savvy that increases profit, revenue, and personal confidence. WHAT TYPE OF INVENTORY-BASED BUSINESSES ARE A GOOD FIT THIS? how is this different than what's offered in entrepreneurship books or through general mentorship programs? All Merchant Math courses build on the foundational concepts described in many introductory business texts and general mentorship programs. Merchant Math goes further, digging into assortment planning, sales forecasting, strategic inventory management, and product development for inventory-based businesses — skills seldom taught to entrepreneurs and small to medium sized businesses. do i need to like math or be good at it? No, you do not need to like or feel good at math in order to benefit from my programs but you must be willing to learn the concepts I teach. This is just as much of a mindset shift as it is a math shift — whining, complaining, playing victim, or laying blame rarely help. what business information do i need to have in order to take the class? 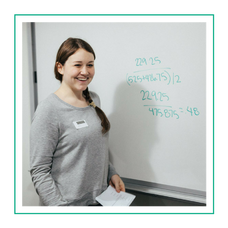 Our programs use case studies to teach math concepts holistically, which accelerates learning and critical thinking skills. We’ve found that this motivates our students to quickly apply their new found acumen to their businesses. Will other students in the program have access to my private business information? 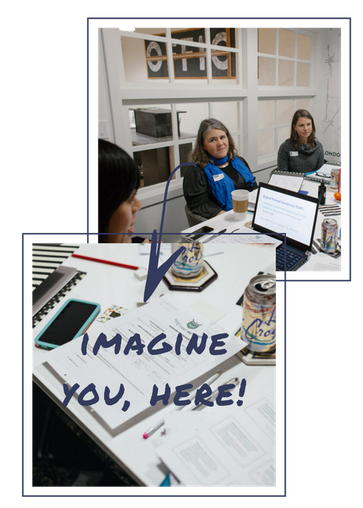 No, but you can voluntarily share your own business’ information with the group if you would like support in developing your profit plan during the learning lab. HOW CAN I ACCESS AND PARTICIPATE IN ONLINE LEARNING? Registered telestudents will have access to a private classroom portal through which you can participate in real time. A recording of each class will be available for all students.